What is the fate of carbon on planets? Several thousands of planets have now been discovered beyond our solar system, including many planets the size of Earth. Yet, we don’t really know what their possible geology and climates might look like. Understanding how elements like carbon, which is crucial to life on Earth, are transported between a planet’s interior, surface, and atmosphere is crucial to figuring out if a planet is friendly for life as we know it. Carbon is also a crucial component of a planet’s atmosphere (think CO2 or methane emissions), so being able to predict what an atmosphere should look like with or without life could help us tell if there is actually life there just by looking at how a planet’s atmospheric gases absorb, scatter, or reflect the light of its star. This is something upcoming telescopes will be able to do. To prepare for that, with collaborators at NASA’s Goddard Space Flight Center and Arizona State University, we are simulating how processes shape the fate of carbon in the interior, surface, and atmosphere of Earth-sized planets. 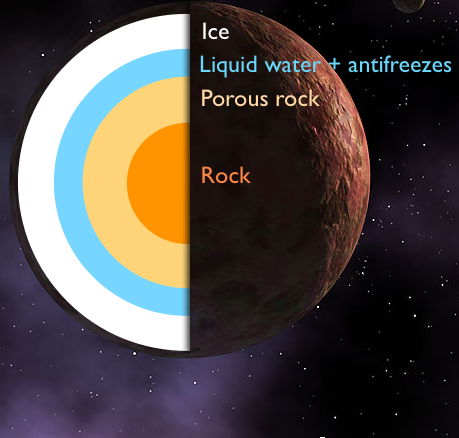 How do reactions between water and rock shape the evolution of icy worlds? In the solar system, 85% of the worlds larger than 400 km in diameter are icy bodies, made of a core of rock and a mantle of ice. (Earth has a core of metal and a mantle of rock.) Europa, an icy moon of Jupiter, and Enceladus, another icy moon of Saturn, seem to have volcanoes spewing water and seas or oceans under their surface in contact with underlying rock. Some of the water may circulate inside the core through fractures in the rock. The rock in contact with water gets hydrated, and the water dissolves salts present in the rock. 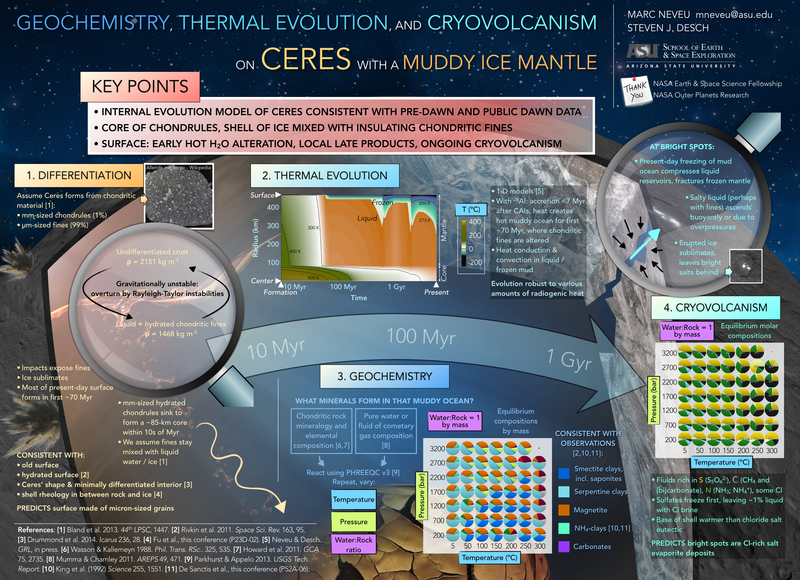 That not only changes how the worlds evolve (because now both rock and water have altered compositions), but most importantly, core fractures have liquid water, heat and chemical energy, and salts and other nutrients capable of sustaining a habitat. Note that the only ingredients for that habitat are liquid water and rock. 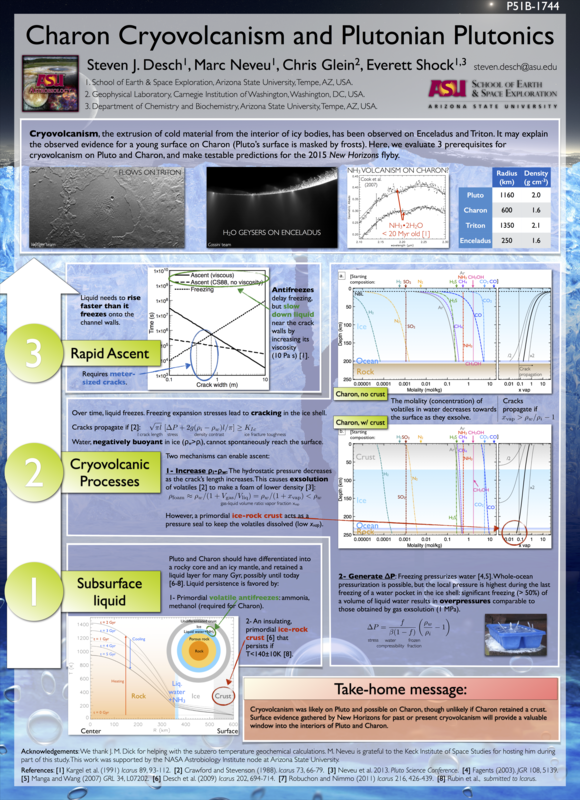 So, why just Europa and Enceladus and not the other 100-ish big icy worlds in the solar system? My goal is to find out whether these may be friendly to microbial life. I focus on three worlds in particular: Ceres, in the main asteroid belt between Mars and Jupiter, and Pluto and its moon Charon. These worlds will be explored by NASA spacecrafts in 2015, so we’ll have a way to check whether or not they could be habitable. If so, then that means many icy worlds are habitable, and since they make up 85% of all bodies in the solar system, that means there could be dozens of habitable worlds in our planetary system! Want to know more? 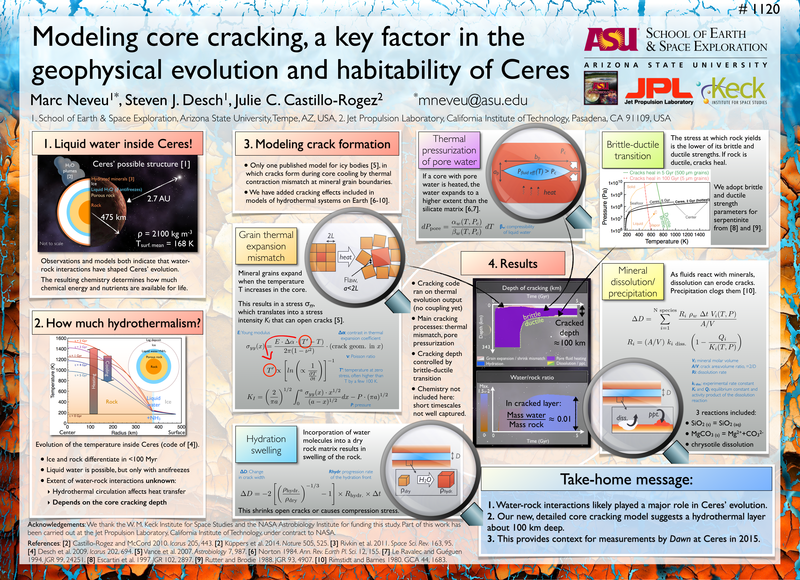 Check out my cryovolcanism paper, my rocky core cracking paper, my paper on Ceres’ physical and chemical evolution, and the research posters below. Download my computer code “IcyDwarf” on GitHub. Please acknowledge any published results. What elements make up extreme microorganisms? Today, our planet hosts diverse macroscopic life forms: plants, animals, etc. But that wasn’t always the case. In fact, during over 3 billion years of history of our 4.5 billion year-old planet the only life on Earth was microscopic. What’s more, the earliest life forms did not use sunlight as their energy source, like most organisms at the base of the food chain today. Instead, their metabolism was fueled by chemical energy, released by chemical reactions between mineral compounds. Similar organisms still exist today. They are most easily found in places where other organisms can’t survive, such as in hot springs of boiling water. 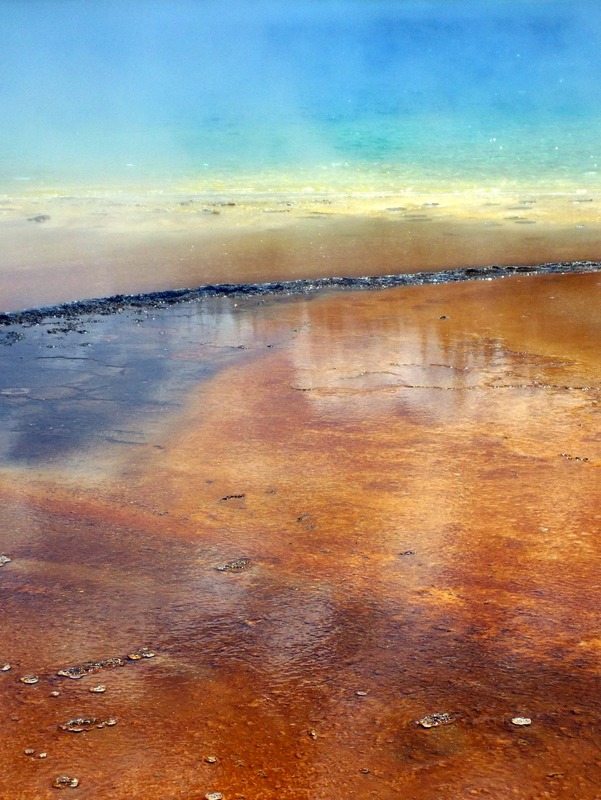 Have you ever seen a picture of the Grand Prismatic hot spring in Yellowstone? If not, Google it. The orange stuff around the spring is due to pigments in microorganisms that allow them to catch sunlight and use it as an energy source. It serves the same purpose as the green chlorophyll in plants. But in the middle of the Prismatic spring, the blue color of the water is not altered by any pigments, because all organisms there only rely on chemical energy, not sunlight. My goal is to figure out what elements these chemical energy consumers, or chemotrophic microbes, are made of. We have no clue. And how different are they from the sunlight (phototrophic) consumers? Once we have an answer, we’ll get an idea of what elements (such as carbon, nitrogen, phosphorus, iron, zinc, etc.) made up the first organisms to thrive on Earth, and whether other worlds have enough elemental supply for Earth-like life. Want to know more? 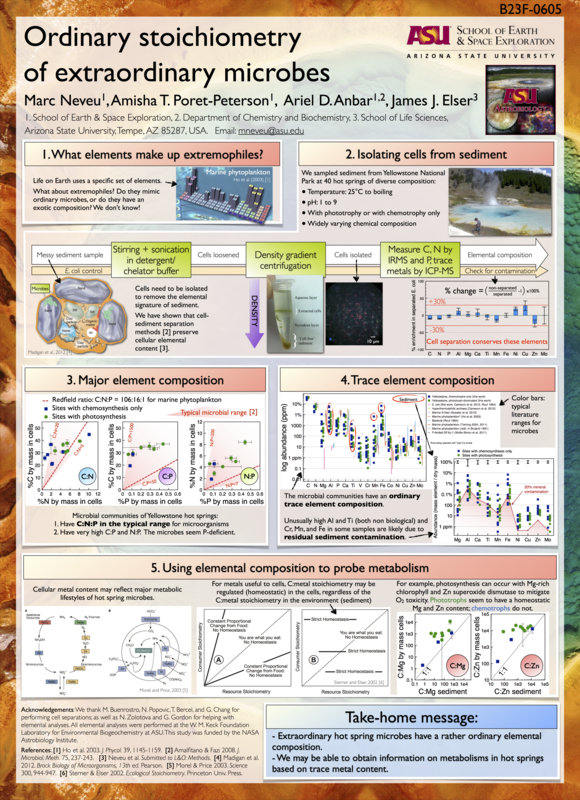 Check out my paper on the ordinary composition of extraordinary microbes, this extremophile purification paper, a related paper on salt-loving microbes, and the research poster below. How to make the “R” of RNA before life arose? All life as we know it depends on at least 3 types of molecules. First, DNA stores genetic information, the blueprint of organisms. Second, Proteins do the jobs programmed in the DNA, such as processing food or making more DNA to allow cell replication. Third, RNA translates the DNA orders into protein executions, by copying DNA information and making proteins. In short, DNA is the information, protein is the execution, and RNA is both. There is no way the first living organism had this complex system of all 3 molecules ready to go. Rather, it probably had only one that played both information and execution roles. There may have been a RNA-world where all life relied only on RNA to store information and execute instructions. Although some researchers think RNA evolved from some simpler molecule, others investigate the possibility that life began with RNA. 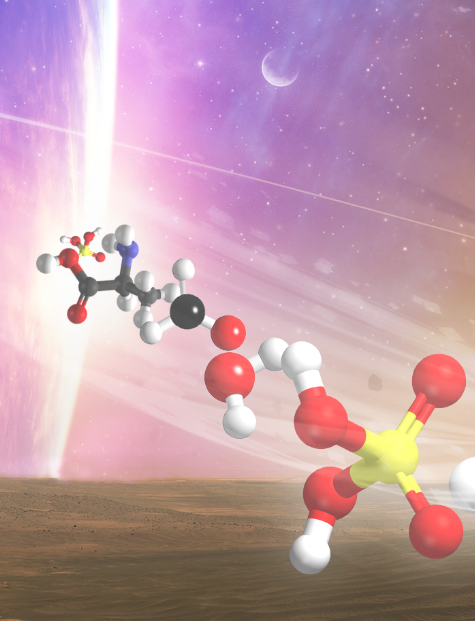 That requires making RNA from “scratch”, namely, compounds present on early Earth. My goal was to find out whether the sugar ribose, the “R” of RNA, can be made and stabilized from “scratch” to be incorporated into RNA. Making it is not the hard part: the compounds formaldehyde and glycolaldehyde, two simpler sugars, were likely present on early Earth and can be combined to form ribose. The hard part is to stabilize ribose and prevent it to form bigger sugars (by incorporating more formaldehyde) that can’t make RNA. The stabilization of ribose sugar may come from the action of minerals such as borate (today used in laundry detergent!). I tried several other minerals, but borates work best. Want to know more? Check out my RNA-world paper and research poster below.